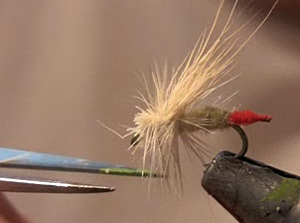 In this week’s fly tying video, Michael Yelton lends his working guide’s eye to the construction of a Yellow Sally (also known as a Little Yellow Stonefly). Yellow Sallies can provide great action when thrown toward an undercut bank or into riffles as the small stoneflies hatch on streambanks. Fly Choice: "Observation is the Key"